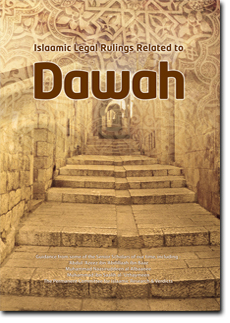 From the miracles proving the truth of Islaam is the Book of Allaah – the Noble Qur’an. It contains many signs and proofs, attesting to its truth and validity. 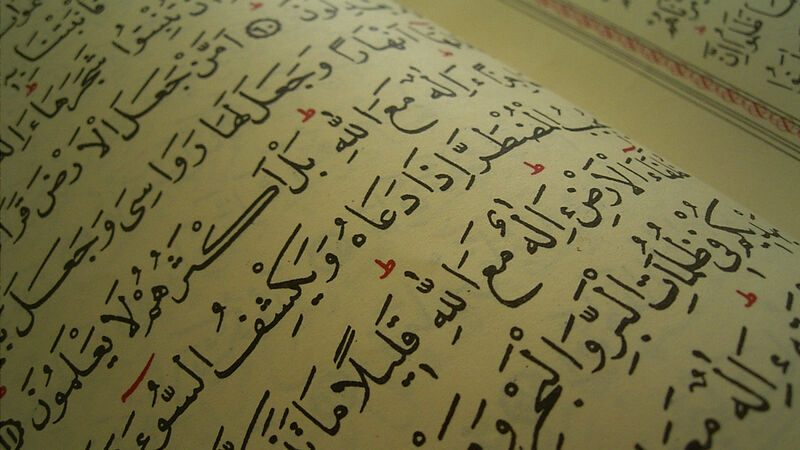 As time passes, and science is advanced, the truth of the Qur’an is only being established further. The scientific miracles found in the Qur’an cannot be denied and many non-Muslims have accepted Islaam based on the mentioning of such proofs. It is important to realise however, that primarily the Qur’an is not a book of science nor mathematical miracles. It is the Speech of Allaah, containing guidance to the correct creed, an encouragement to worship Allaah upon Tawheed and a reminder to the people of the reward of Islaam and the sin of disbelief. People often go to extremes with regards to this subject matter, either by exaggerating scientific and mathematical claims from the Qur’an or in the other extreme stubbornly refusing to even accept the scientific miracles that the Qur’an contains. As ever, a Muslim maintains moderation and balance in such matters, and there is nothing wrong with accepting what can be clearly deduced from the wording of the Qur’an. In explaining Qur’anic Aayaat through the science of Tafseer (Qur’anic Exegesis), we must return to the Aathaar (narrative passages), from the early scholars among the companions of the Prophet (sal Allaahu alayhi wa sallam) and their students. It is upon the teacher of Tafseer to fear Allaah in this regard, only speak according to his knowledge of the explanations of the earlier scholars; to explain the meanings and wisdom that the wording of Qur’an necessitates and to not exceed the limits by exaggerating in mathematical claims or trying to deduce what cannot be deduced from its wording. In recent times however, people have sought to explain the Qur’an in various ways, hoping to appeal to the masses such that their explanations are understood, convincing and accepted. Despite their good intentions and noble objectives, they exceed the limits of the virtuous Imaams of this Ummah. They delved into trying to prove the validity of the Qur’an through deducing scientific miracles, exaggerating palindromes  and applying the Qur’an to modern theories. 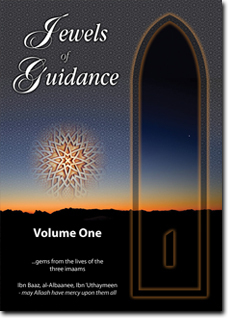 Another by-product of adopting this ‘academic’ approach, is that people are misdirected away from the true soul of the Qur’an, in believing and pondering over the meanings of the Qur’an as the pious Imaams understood, and instead people are cultivated upon calculating useless mathematical facts and formulae which bring no benefit in this world nor the Hereafter. In warning from this approach and as sincere advice, I have mentioned a number of Fataawa below from reputable scholars of our time, discussing the explanation of the Qur’an through scientific modern miracles. The Virtuous Shaykh Muhammad al-Uthaymeen (may Allaah have mercy upon him) was asked: Is it permitted to explain the Noble Qur’an with modern scientific theologies? Response: Explaining the Qur’an with scientific theories has its dangers; such that if we explained the Qur’an with a particular theory, and then other theories were purported in contradiction to the previous theory, this then necessitates that the Qur’an has now become incorrect in the eyes of the enemies of Islaam. As for the Muslims, they say that the error is in this person who imagines the Qur’an to be explained with such a theory, however the enemies of Islaam await any misfortune. This is an error, it is not permitted to explain the Qur’an like this. If you explain the Qur’an with a particular meaning, this necessitates you bearing witness that Allaah intended this meaning. This is a serious proclamation that you will be questioned about. The answer is no; therefore it is not correct for the Aayah to be explained in the manner that those people explained it. We also say: the people [who traveled in space] and reached what they reached [i.e. the moon] this is due their knowledge experimental sciences that they understood due to their experimenting. However, to change [the meaning] of the Qur’an in order to submit the Qur’an to prove such meanings is incorrect and not permitted. Question: What is the ruling of the Sharee’ah regarding the Explanations [of the Qur’an] which are called: Scientific Miracles [in the Qur’an]? What is the ruling on explaining the Qur’an with proven scientific explanations? There is a lot of controversy regarding it recently. If the explanations to the Aayaat are like this, then they should not be relied upon and neither are they to be depended upon. Such explanations misconstrue the intended meanings of the Aayaat and instead the Qur’an is lowered to what they call scientific theories – they are only mere theories/thoughts or figments of imagination and fantasies. Similar to this is all the other explanations [of the Qur’an] that rely on new thoughts/theories that have no basis in the Book, Sunnah nor in the statements of the pious generations of this Ummah. Rather it is speaking regarding Allaah without knowledge. True Guidance is from Allaah, may peace and blessings of Allaah be upon our Prophet Muhammad, his family and companions. In this lies the increased danger of lying upon Allaah. Despite many of the authors doing this with a good intention and trying to prove the status of the Qur’an, however this is an action which is not permitted. So the Qur’an is not explained except by the Qur’an, Sunnah or a statement of a companion – as is known by the prudent scholars. “Perhaps the first person who fell into this doubt of using scientific miracles in the Qur’an is: al-Ghazzaali [died: 505h], in [his book]: Ihyaa [Uloom ad-Deen]. He claimed that the Qur’an contains seventy seven thousand facts, in conformity to the number of words [in the Qur’an] multiplied by four. He also claimed that each word has an apparent meaning and a hidden meaning, a definition and an extension. 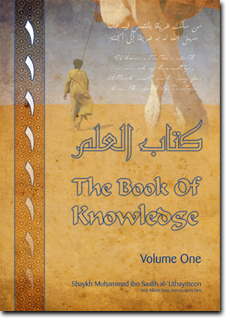 In his book, Jawaahir al-Qur’an, he specified the fifth chapter in explaining that the Qur’an contains every type of science and secular knowledge. Just as he Ghazaali opened the avenue of confusing between Tasawwuf and Islaam, he similarly confused between al-Fijr (logical thinking) and Fiqh in the texts of revelation. He also deduced algebra and matching numbers to letters from the first letters of the beginning of the chapters (ie the Soorah of the Qur’an). “In reality we do not deny the scientific miracles [of the Qur’an], we do not deny that in the Qur’an there are matters that have now been clearly proven and explained in the later times. However, some people exaggerate with regards to scientific miracles, to the extent we have seen from them that they have made the Qur’an into a book of mathematics, and this is incorrect. We say: It is not correct to exaggerate in affirming scientific miracles, because this may be based on theories, and theories differ. If we use the Qur’an to prove a particular theory, and then it is clarified later that the theory was incorrect, this means that the proof of the Qur’an was also an error. So this issue is very dangerous. 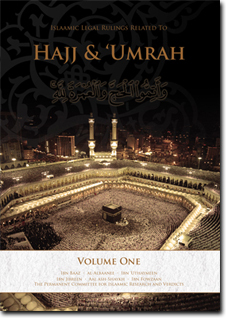 For this reason, the Book and Sunnah attached importance to what benefits the people from worship, transactions and interactions, and the core matters as well as finer details were explained – even the manners of eating, sitting, entering etc.. however the universal sciences were not mentioned in detail. لما حصل صعود الناس إلى القمر ذهب بعض الناس ليفسر هذه الآية ونزلها على ما حدث وقال: إن المراد بالسلطان العلم، وأنهم بعلمهم نفذوا من أقطار الأرض وتعدوا الجاذبية وهذا خطأ ولا يجوز أن يفسر القرآن به وذلك لأنك إذا فسرت القرآن بمعنى فمقتضى ذلك أنك شهدت بأن الله أراده وهذه شهادة عظيمة ستسأل عنها. بأن الأرض كانت متصلة بالشمس وجزءً منها ومن شدة دوران الشمس انفصلت عنها الأرض ثم برد سطحها وبقي جوفها حاراً وصارت من الكواكب التي تدور حول الشمس – إذا كانت التفاسير من هذا النوع فلا ينبغي التعويل ولا الاعتماد عليها . وبالله التوفيق وصلى الله على نبينا محمد واله وصحبه وسلم . ولعل أول من وقع في شبهة الاعجاز العلمي في القرآن هو : الغزالي (ت 505 هـ ) في ( احيائه ) اذ إدعى أن اللقرآن يحوي سبعة وسبعين ألف علم ، بعدد كلماته مضاعفة أربع مرات بإدعائه أن لكل كلمة ظاهرا وباطنا وحدا ومطلعا ، وفي كتابه ( جواهر القرآن ) يخصص الفصل الخامس لبيان اشتمال القرآن على جميع العلوم أوالفنون الدنيوية . وكما فتح الغزالي الباب للخلط بين التصوف والإسلام ؛ فتحه للخلط بين الفكر والفقه في نصوص الوحي ، فجاء من بعده الرازي (ت606) فزاد الطين بلة ثم استفحل الامر فجاء ابن ابي الفضل المرسي (655) فاستخرج الهندسة من قوله تعالى (انطلقوا الى ظل ذي ثلاث شعب ) والجبر والمقابلة من الحروف في اوائل السور مثلا . الإعجاز العلمي في الحقيقة لا ننكره ، لا ننكر أن في القرآن أشياء ظهر بيانها في الأزمنة المتأخرة ، لكن غالى بعض الناس في الإعجاز العلمي ، حتى رأينا من جعل القرآن كأنه كتاب رياضة ، وهذا خطأ . نقول : إن المغالاة في إثبات الإعجاز العلمي لا تنبغي ؛ لأن هذه قد تكون مبنية على نظريات ، والنظريات تختلف ، فإذا جعلنا القرآن دالاًّ على هذه النظرية ثم تبين بعد أن هذه النظرية خطأ ، معنى ذلك أن دلالة القرآن صارت خاطئة ، وهذه مسألة خطيرة جدًّا . ولهذا اعتني في الكتاب والسنة ببيان ما ينفع الناس من العبادات والمعاملات ، وبين دقيقها وجليلها حتى آداب الأكل والجلوس والدخول وغيرها ، لكن علم الكون لم يأتِ على سبيل التفصيل .